There are many essentials which I need by my side at all times and I somehow narrowed it down to these. I guess you can say that this is a 'what's in my bag' kind of post but for a 18 hour journey. 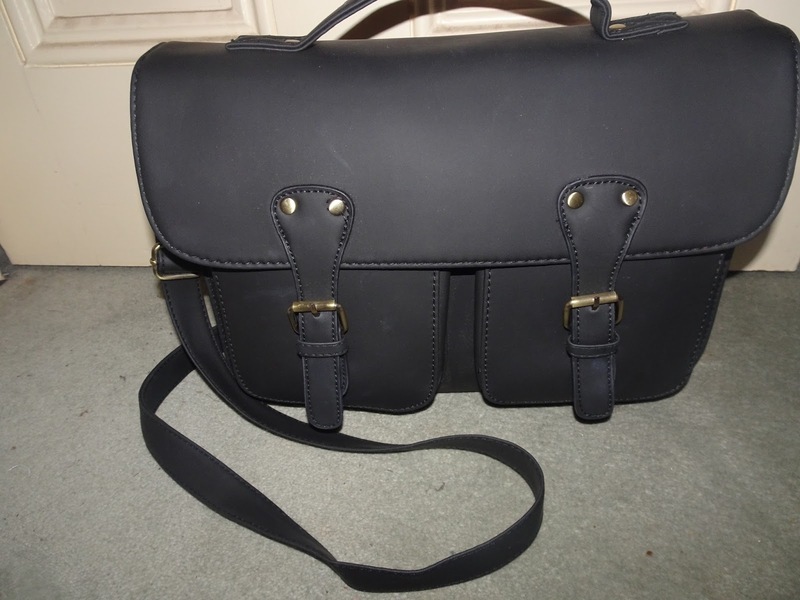 I literally wanted this bag for so long but never bought it, I saw it once at a typo shop but I didn't have enough money with me at the time and I thought to myself well there is always a next time. I am going to take this on the plane with me to America which there will be blog posts soon to come. As I am probably in America or already home from my travels. 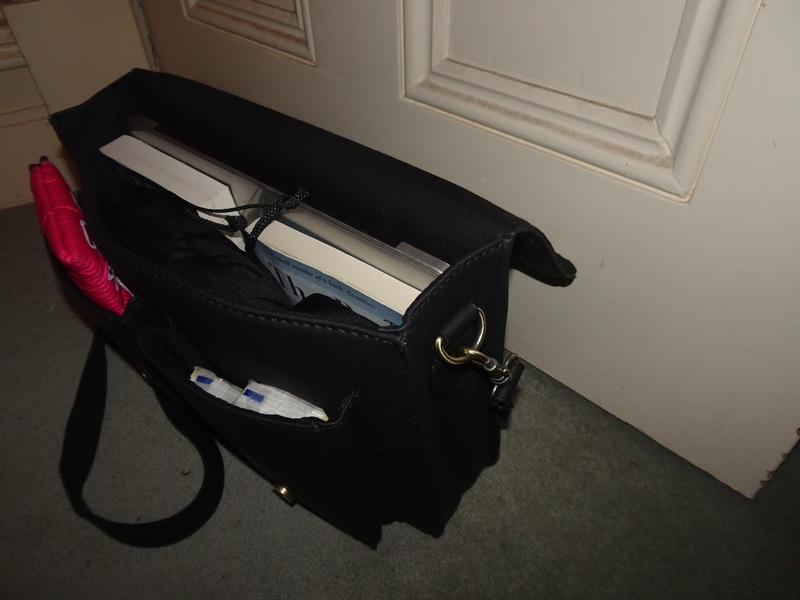 Somehow the bag closes with this much stuff in it, and I am truly astonished. The pencil case I purchased around 4 to 5 years ago at office works, and no thats not what the actually pencil case design. 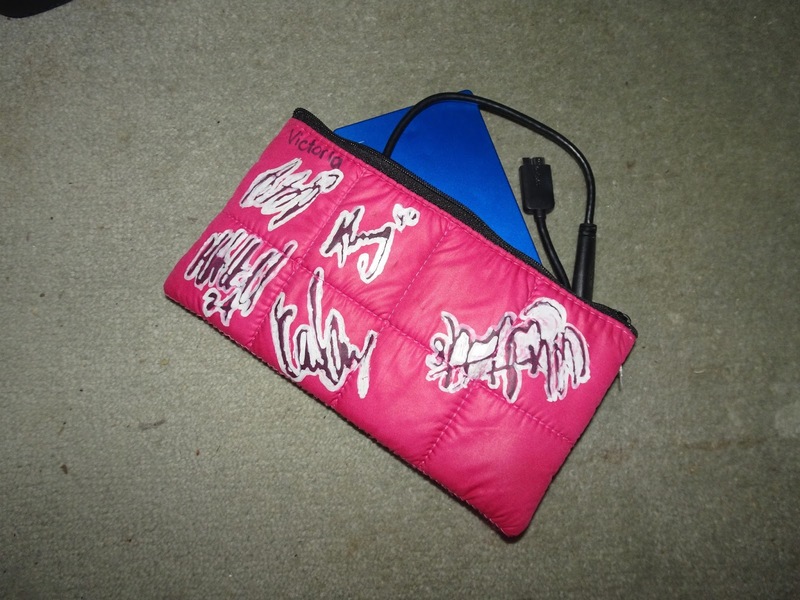 I customised it, the pencil case was originally plain but I changed it up and made it my own. What I will put inside it is my hard-drive to edit videos with on the plane, so that will keep me occupied until I get sick of editing. I will also have my phone in there with it. 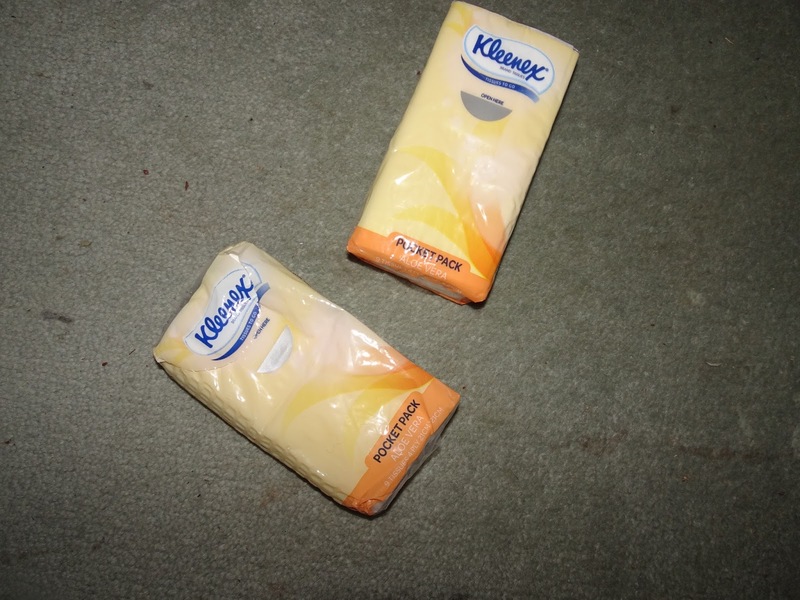 My everyday essentials...tissues obviously, I generally use a pack or two of these once or twice a month. Don't worry I am not so sick person all the time I do give these to my friends as well. The lifesaver of every travelling situation. In an argument? Put your headphones on, bored? Put your headphones on, editing? Just put your headphones on. 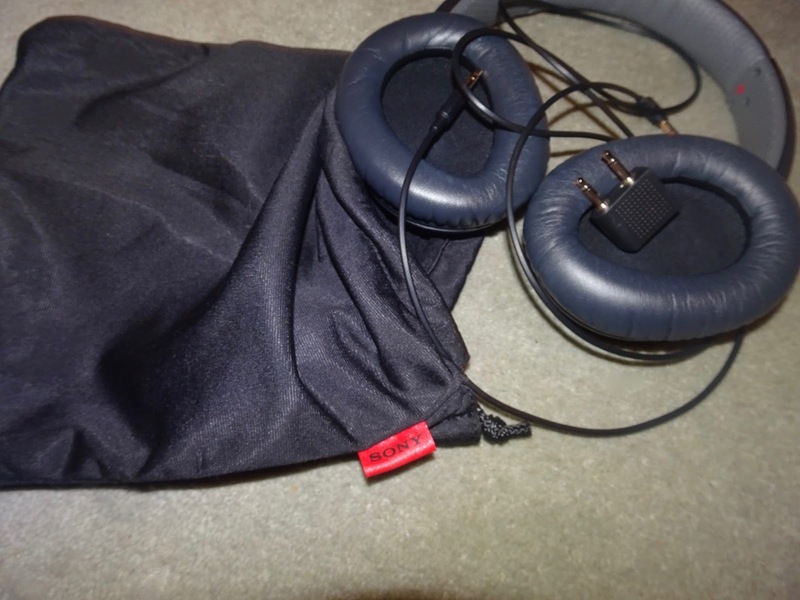 So I will be using these a lot as they are noise cancelling headphones. 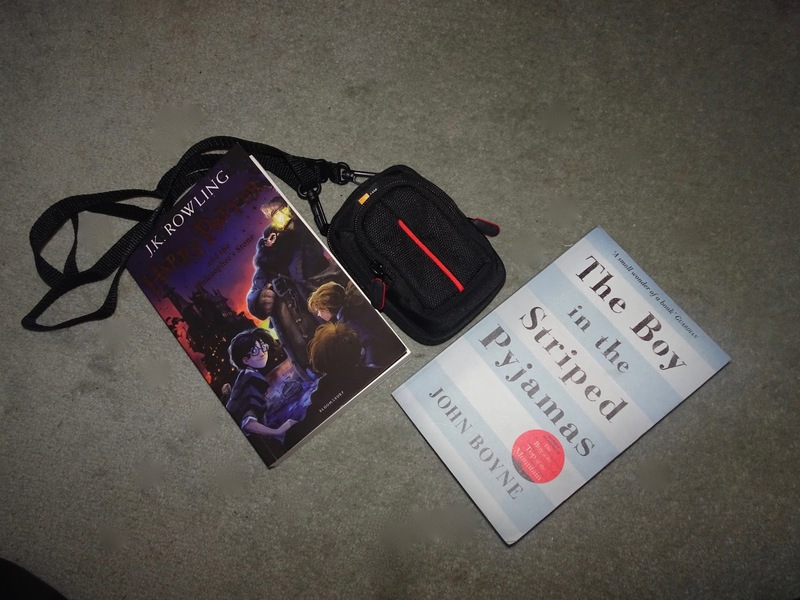 When I have had enough of looking at a screen I will be reading to pass the time, I am currently reading both The Boy in the Striped Pyjamas apparently it is sad so I am bringing the book Harry Potter with me to cheer me up and excite me on the books adventures. I am also bringing my camera to take so awesome shots of America. And of course my laptop which I am using to type this right now, I don't know how I get past a day with out using this, jus kidding. 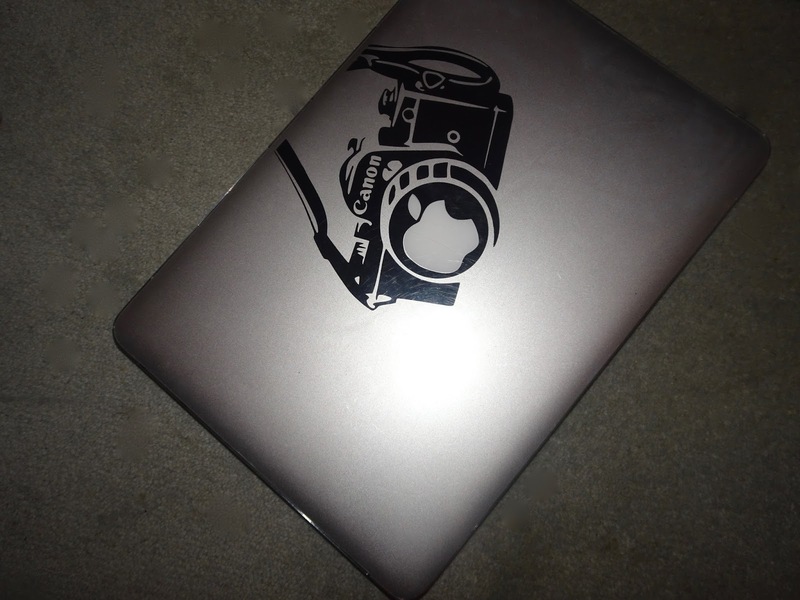 But still I love it and I purchased a camera sticker to put on my laptop and so it doesn't get any scratches or peal away I put a protective clear case which I got both from eBay. I honestly can't wait to go to America and I am pretty sure that I will survive the long plane trip with these essentials. 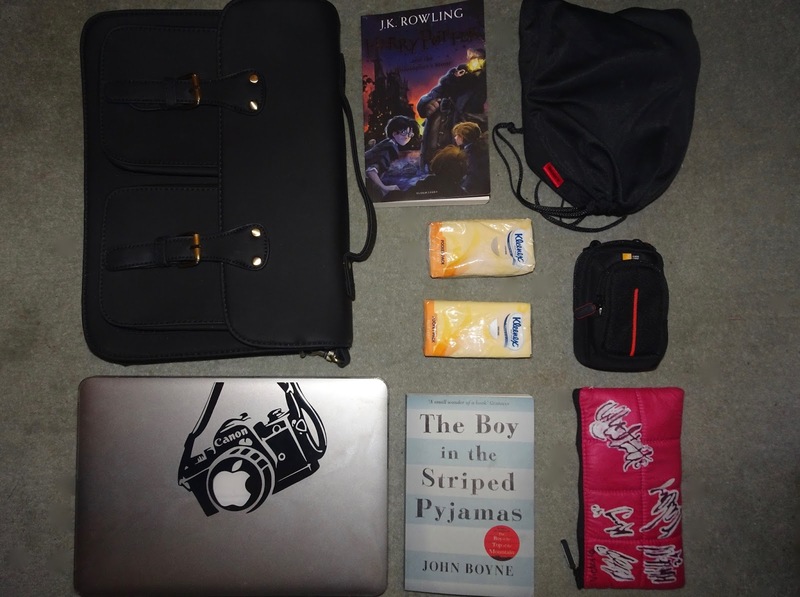 Let me know what your essentials are for travelling.